In-depth Details on Piping SystemsFilled with examples drawn from years of design and field experience, this practical guide offers comprehensive information on piping installation, repair, and rehabilitation. All of the latest codes, standards, and specifications are included. 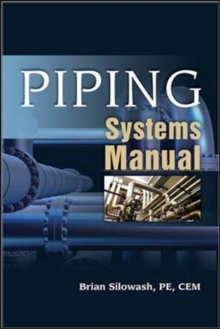 Piping Systems Manual is a hands-on design and engineering resource that explains the reasons behind the designs. You will get full coverage of materials, components, calculations, specifications, safety, and much more.